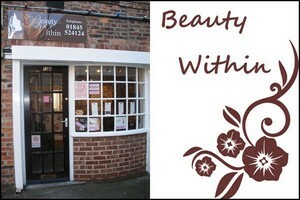 The beauty salon was established in 2009 to provide beauty treatments to ladies living in Thirsk and the surrounding areas of Northallerton, Bedale and Easingwold. These are held monthly by Beautitude aesthetics ltd.
We offer a wide range of reasonably priced treatments including Facials, Micro dermabrasion, Hair removal, Electrolysis, Shellac nails, Eyelash Extensions, St Tropez spray tanning, Inails Express and Hot Stone Massage. We also offer childrens "sparkle" parties, treatment vouchers and seasonal offers. We sell a range of Skin Care products, Nail Polishes, Hand & Foot Lotions and large selection of Strip Lashes.